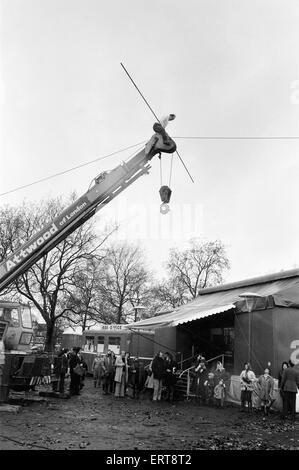 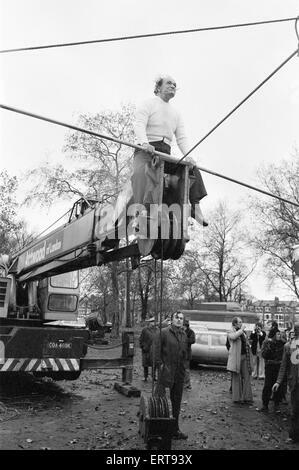 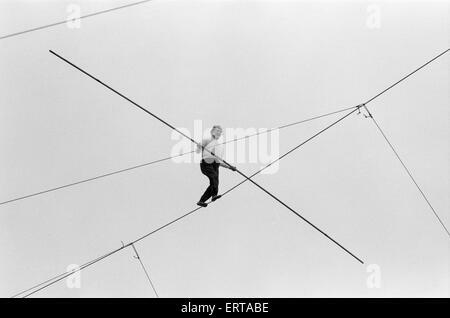 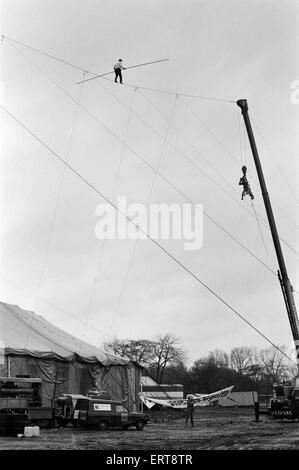 Karl Wallenda, Tightrope Walker, crosses over Europe's largest circus tent wire, Mary Chipperfield's, currently pitched at Clapham Common, London, Wednesday 13th November 1974. 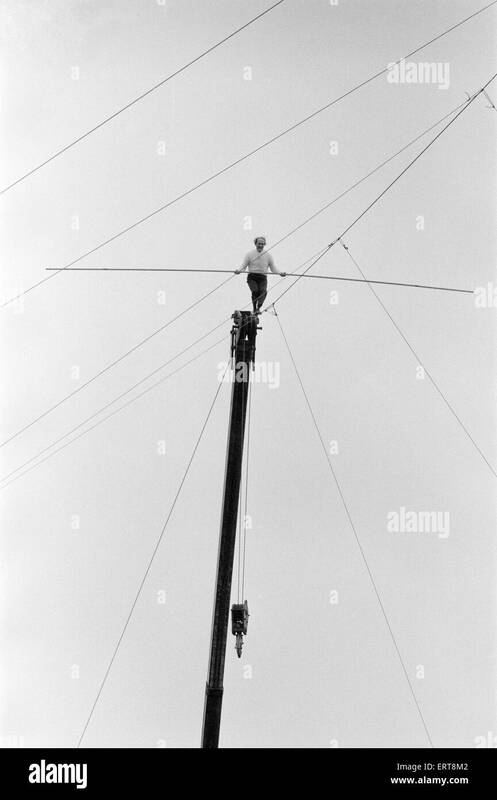 Karl crossed the 300ft wire at a height of 70ft to highlight the 10,000 daily death toll due to world food shortages, ahead of the United Nations Food Conference in Rome, Italy. 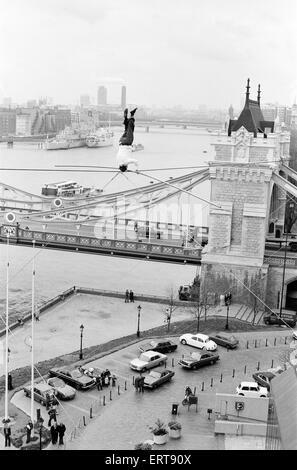 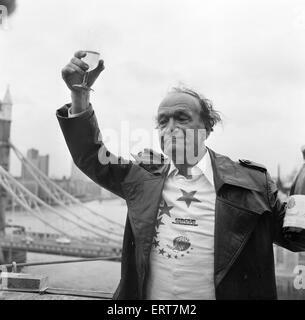 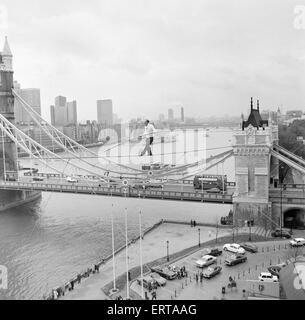 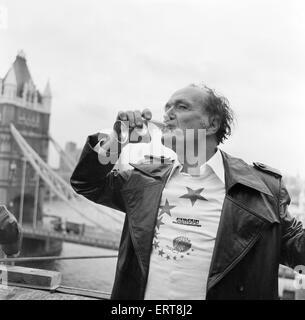 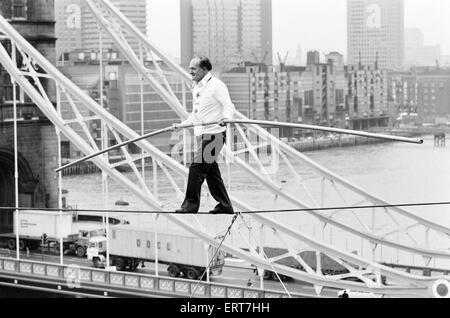 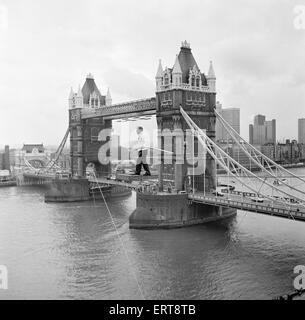 Karl Wallenda, Tightrope Walker, crosses 100ft above the ground, near Tower Bridge, London, Monday 22nd November 1976. 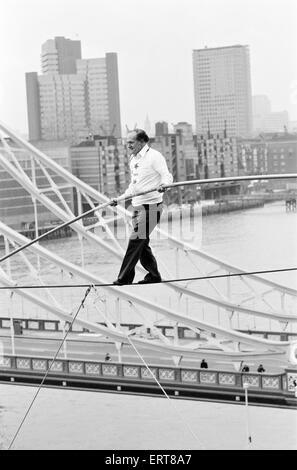 Karl Wallenda, Tightrope Walker, crosses 100ft above the ground, near Tower Bridge, London, Monday 22nd November 1976. 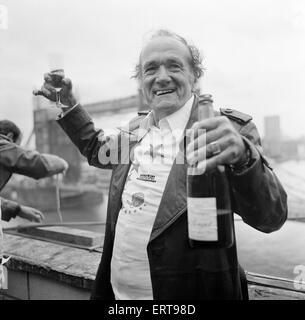 Pictured celebrating after crossing.